These Valves control and maintain hot water levels in the radiator so the temperature of the room remains at a consistent level. No more opening the window in winter! A Radiator Valve sends hot water to a radiator or hot water cylinder, depending on which calls for heat. Without a radiator valve, steam trap, or steam angle a system will likely fail. The three factors to consider in selecting the radiator valve are: size, body pattern (angle or straight), and control type (thermostatic or manual). Most conventional radiators have Bottom Opposite End connections (BOE). This means the connections are at the bottom of the radiator and are horizontal. This requires the use of angle body valves. 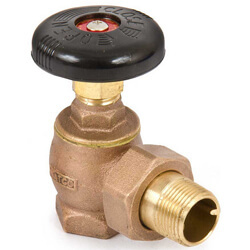 If the connections come upwards from the floor, straight valves are required. 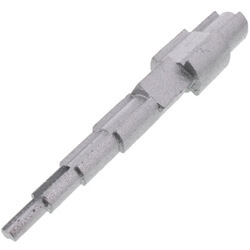 Manual and thermostatic radiator valves can have angle or straight body patterns. A Thermostatic Radiator Valve (TRV) automatically controls room temperature by regulating hot water flow to the radiator. Thermostatic radiator valves are self regulating radiators which can work in conjunction with temperature controls, pressure controls, and time set-back devices to allow an entirely self-contained process. They are available in one pipe and two pipe configurations. A one pipe thermostatic radiator valve is used in low air capacity applications, while a two pipe valve is used in high air capacity applications. 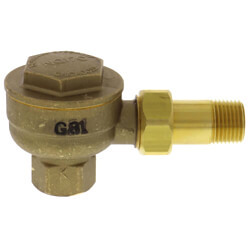 Radiator Steam Traps are designed to remove condensate, air, and non-condensable gases from steam systems while not permitting the escape of steam. Application type, system design, and maintenance needs will influence the performance and selection of a proper steam trap. 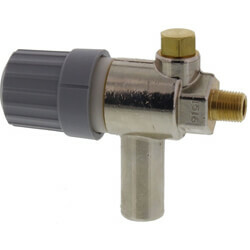 We offer a wide selection of Danfoss and Honeywell thermostatic radiator valves for all your heating needs.